The New Yorker magazine made some of its articles from earlier years available on its website. The following two part article was written in 1933 the year Einstein emigrated to the United States. 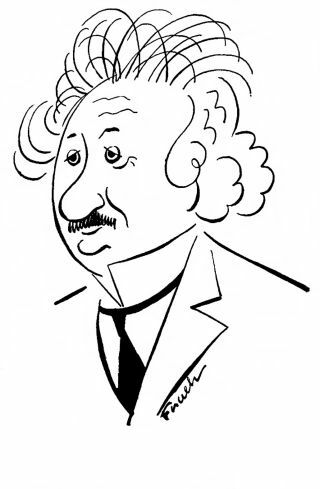 Einstein had difficulties getting a visa to enter the U.S. Imagine that! Without any further comments here’s the links. You should be able to access these articles even if you are not a subscriber. Their web site allows free access for a limited number of articles per month. PS: I have watched the first episode of the TV series Genius produced by the National Geographic TV channel about Einstein. No comments! I will watch the other episodes. I wouldn’t miss them. This entry was posted in history and tagged Albert Einstein, National Geographic. Bookmark the permalink.